Today, October 21st only, head on over to Amazon and save up to 40% off select mowers. Go from mower to trimmer to edger all w/ one tool! 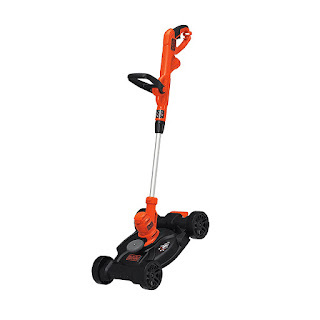 You can score this Black+Decker 12″ 3-in-1 Compact Electric Lawn Mower for just $59.99 shipped (Retail $79.99)! Mow, trim, and edge your yard with this compact electric mower that features a lightweight design with adjustable handle and height positions for comfort and control.